Turkey will allow only Syrian refugees to cross the border and join the fight against ISIS in Kobane, Turkish Prime Minister Ahmet Davutoğlu said on Wednesday. 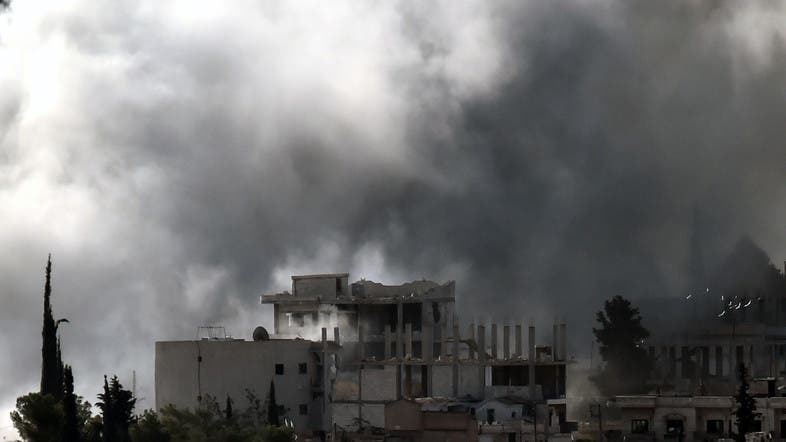 Forces known as the Protection of the Kurdish People (YPG) have been fighting militants of the Islamic State of Iraq and Syria (ISIS) for weeks amid growing anger among Kurds in Turkey over Ankara’s lack of action. “Those coming from Syria can go back to join the fight" for Kobane, but that Turkish and other nationals would not be allowed to cross the border. Kurdish fighters are seeking to hold back the advance by ISIS jihadists to take Kobane and Turkey is coming under increasing pressure to allow Kurdish reinforcements to cross the nearby border. “We don’t let Turkish citizens go into Syria because we don’t want them to be a part of the conflict in Syria. We are trying to stop those who are attempting to do so illegally. It is against the laws in a constitutional state,” he said, according to AFP. Turkey has been wary of letting Turkish Kurds cross the border to join the fight for Kobane, fearing the creation of a potent Kurdish fighting force straddling the Turkish-Syrian borders. The Turkish security forces have waged a 30-year conflict with the outlawed Kurdistan Workers Party (PKK) which has links to the main Syrian Kurdish Party the Democratic Union Party (PYD). Davutoglu said Syrian refugees however “haven't asked for our permission to come here and they don't need our permission to go back.” He added that those refugees did not want to return. Davutoglu’s comments come after French President Francois Hollande on Tuesday said Turkey “must absolutely open its border” to allow reinforcements to reach Kobane. UN envoy Staffan de Mistura last week called on Turkey to allow volunteers and their equipment to be able to enter Kobane to contribute to its defence. “I’'s easy to talk from Paris. Do they know what's happening on the ground?” snapped Davutoglu, pointing to how Turkey was hosting some 200,000 refugees from the Kobane region. 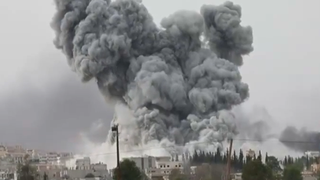 Will the West take ‘last-minute’ action to save Kobane? Despite demands, Syria no-fly zone a no-go for U.S.